Chair for a master ST-2, buy at the price of 83 in Europe. For masters, who care about both the quality of their work and the presentation of services, the company "European Medical Systems" offers to buy a modern and stylish beauty chair for a master ST-2. 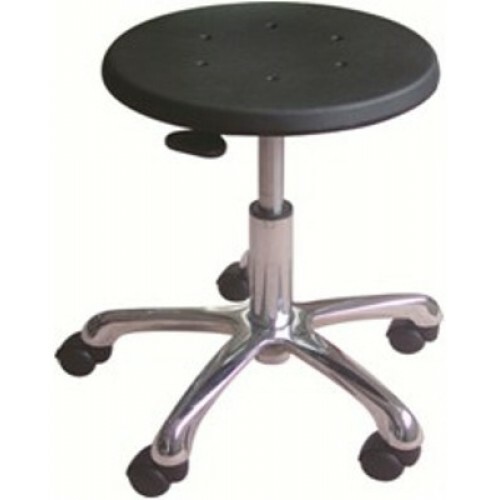 Due to the chromed base, the chair does not wear out and is designed for a long and reliable use. High-quality rubberized plastic, from which the seat is made, is easy to clean using conventional detergents; it maintains a presentable appearance for a long time. Stable hydraulic pump adjusts the height of the chair with an amplitude up to 58 cm, which allows you to change the position, depending on the growth of the master and the type of work. The wheels rotate freely and easily, providing fast movement for the master.